RECARO is one of the most recognisable names in automotive seating. Their dedication to quality and comfort - both in sports and racing seats, and ergonomic and safety seats - has made them a brand which people know can be relied on. 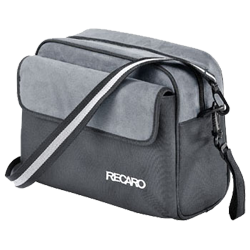 Now you can show your appreciation for the RECARO brand with merchandise which carries the RECARO name.